Last week's news of the EU's latest antitrust fine levied against Google fattened the already multi-billion-dollar tally against the search giant. But like the previous penalties, there aren't many signs the new fine will cause Google to make major changes. 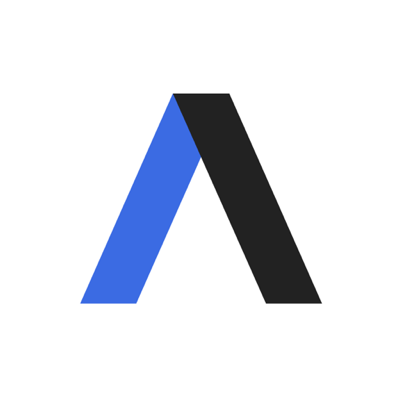 Total net income for Alphabet, Google's corporate parent (which derives nearly all of its income from Google), was $63 billion for the three-year period from 2016 to 2018. Google hasn't actually paid any of these fines yet. It appealed the first two and is still deciding what to do about the most recent one. After last week's fine, Google senior vice president for global affairs Kent Walker said, "We've always agreed that healthy, thriving markets are in everyone's interest. We've already made a wide range of changes to our products to address the Commission's concerns. Over the next few months, we'll be making further updates to give more visibility to rivals in Europe." 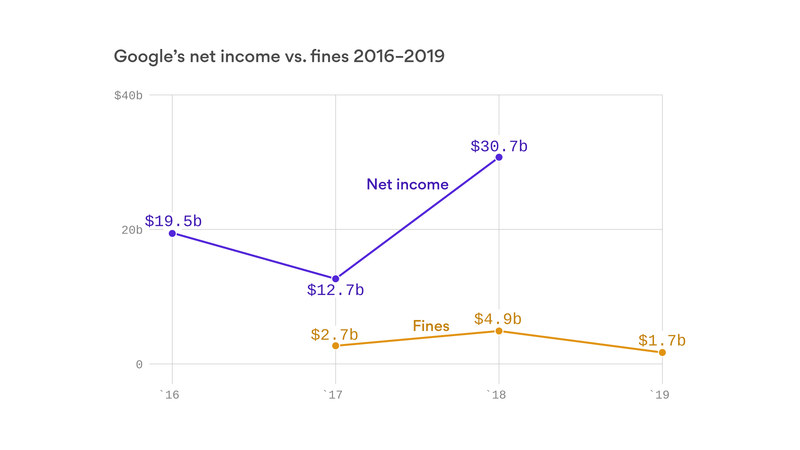 Facebook hasn't yet faced fines on the same scale, though it faces possible penalties in the billions from both U.S. and European authorities relating to privacy violations. Its total net income 2016–2018 was $48 billion. Yes, but: Even though fines don't put much of a dent in these companies' balance sheets, the resulting public relations hit is substantial for brands' reputation, said Jay Cline, privacy leader at PriceWaterhouseCoopers. "The nature of fining gets at the heart of consumer trust in what the company does and can start to affect the narrative." The vast majority of fines related to violating GDPR, the EU's relatively new privacy law, have been under $1 million, Cline said. "Most multinationals can absorb a fine like that." Reality check: "There's a huge backlog of investigations that are expected in spring and summer, " Cline said. "There are larger fines on the horizon."